Your path to a wellness lifestyle! We offer Alternative Health and Spiritual presentations, classes, discussion groups on a variety of topics many of them free of charge. The presentations provides you with information on what healing arts are available for all. We also have space available for rent in the Wellness Center depending on your needs. 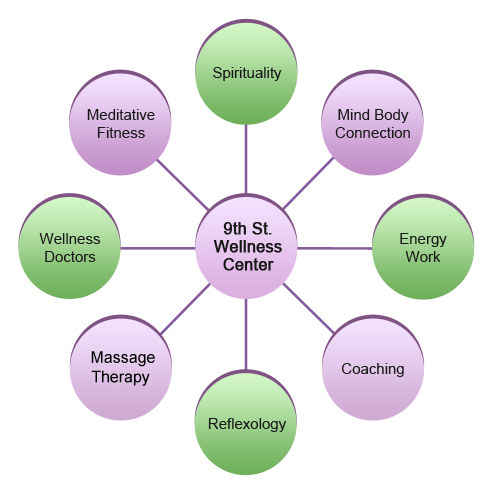 Our Services at the 9th Street Wellness Center Help You Find Your Own Feeling Of Wellness!